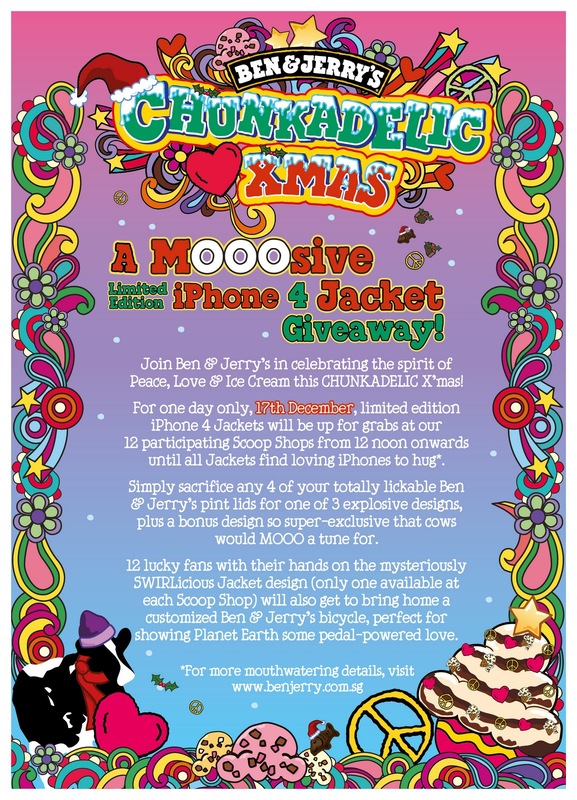 Yes, we all know how coveted the Ben & Jerry iPhone covers are. But wow, this Christmas, they are outdoing themselves! I very nearly flipped when I saw that Ben & Jerry are giving out customised bicycles this year! Flying pigeon bikes - so hip and retro, they hurt! And you lucky, lucky people! 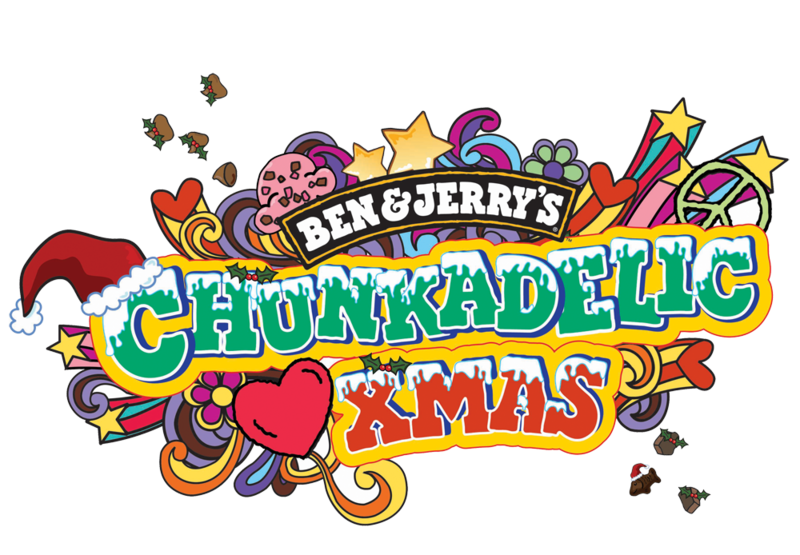 There are two Ben & Jerry bikes up for grabs just by submitting a comment here. Out of 15 "Moolet" ambassador blogs, they will choose two with the most number of individual comments, and award the bikes. Yes, Camemberu is one of these blogs, so all you need to do is tell us in the comment why you deserve this bike. That's it! And yes, now is not the time to use anonymous comments! Give a web URL or email address in your identity, if possible. You have until 31 Dec, 2010! Of course, no bikes for me, unless I go the other (read harder) route, which is the "tikam" method - exchange four pint lids for an iPhone4 cover on 17th Dec at any Ben & Jerry scoop shop from 12 noon onwards (6pm onwards for the Night Safari outlet). More details at http://benjerry.com.sg/ or you can read this below (click for larger image). Happy holidays, everyone! And good luck! I hope someone wins from here! I need a bicycle to ferry myself around to shave precious dollars off the ever-increasing transport fares. The little basket on the bicycle will be handy for me to lug groceries back from marketing trips. With all the exercise I get from riding this cutie around, it will be a breeze shedding off excess weight - so I can free up more space stuffing myself silly with even more Ben & Jerry's heavenly ice-cream! How wonderful life will be! Every other evening, I pick my little boy from school and head to the park for dinner in the park. With the all-in-one bike, we can ride together to the park- dinner in the basket and my little one behind me. Whoopee! All I Wanna Do Is ... ride a Ben and Jerry's bicycle! I deserve this bike so that i can more conveniently ride to my neighbourhood petrol station instread of driving there to buy even more Ben and Jerry's ! Also it would be a great excuse to tell my wife that my years of faithfully eating Cherry Garcia and Chunky Monkey have paid off. It would also be great that now with such a cool set of wheels, i can save petrol, the environment and ENJOY FABULOUS ICE CREAM, all at the same time! I want this bike because my 3years secret admirer loves to collect different types of bike. If I own this bike, he probably will take some glance at me because of my cute bike. *wind comes and my hair gets blown. I deserve this bicycle simply because I am Ben & Jerry's numero uno fan!!!!!!!!!!!! 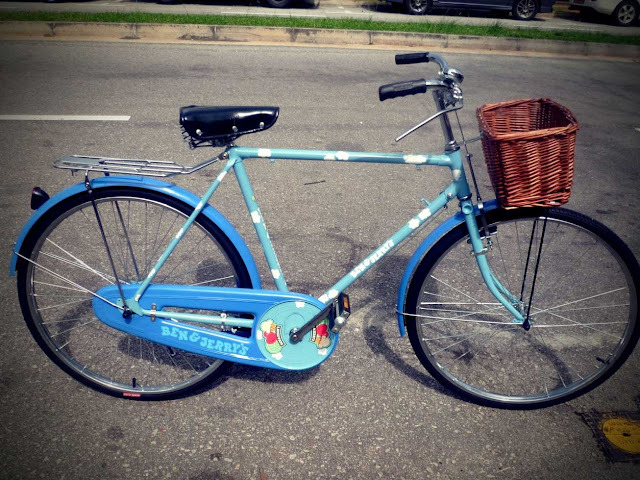 I deserve to win this bicycle is because i am a huge fan of Ben & Jerry! I have many of their collectibles and this will add on to my collection. I will tweet, facebook, blog, IM about it if i win the bicycle to share my joy with my family and friends and everyone else in Singapore that Ben & Jerry is so generous! - Daddy need to build some calf muscles! (maybe rename our blog from sengkangbabies.blogspot.com to sengkangAcrobats ). thanks Catherine and B&J for this ineteresting promo ! I deserve the bike so I can indulge and yet not bulge! This bike is absolutely retro and funky! Please let me have it! The Ben & Jerry's bicycle will be good for my parent. i do not know how to cycle. However, my father can always bring my mother on a good ride using the cool looking bike! I REALLY REALLY WANT THE BEN AND JERRY'S BICYCLE! NOT ONLY IS IT SO CUTE AND NICE AND PART OF MY WHOLE DREAM BICYCLE CONCEPT (SIMPLE PASTEL COLOUR WITH A STRAW BASKET IN FRONT AND.. YES A SEAT FOR MY PILLION RIDER!) BUT IT'S ALSO FROM BEN AND JERRY'S! Wow! what a cute bike from Ben&Jerry. Since I started college this fall, I have been riding the bus and shuttle everywhere throughout town from my off-campus dorm to school and to the store(to get strawberry shortcake b&j). And those things(buses) take forever to get to my destination. It would be nice to get this cute bike as a x-mas gift so next semester I can actually have my own transportation. I won't ever have to ride those public buses anymore. Not just that, but I can show off this cute bike to all those other students who own a bike but not one that is as cute. P.S. Let this poor college girl have a reliable transportation please...so she won't be late to class. Never had the motivation to learn to cycle properly, never learn to swim properly. Can't not play sports, can do nothing. This may be a good motivation for me to start learning something simple that everyone can do but yet I can't. I need the bike for exercise because I've gotten so fat from eating Ben&Jerry everyday! that's how yummy they are! I would like the bike so I can help raise money for charity. I really hope to win this cute bike for my youngest brother, who had finished his PSLE this year and obtained good grades! I feel that he totally deserved it and he had really work hard for those grades. And cycling is one of his favourite hobby! I hope I can win this for him! bicycle, i have always wanted one. Ben and Jerry i' ve always try to resist eating too much scoops. Why cause i put on weight. Now shamelessly i say aloud, if Ben & Jerry gave me a bike, i can then cycle more and i can then eat more Ben & Jerry he he. .
i want this bike because having such a cute bike will give my sister motivation to learn how to cycle! 1. to reduce my carbon footprint! 2. to use the energy from all the B&J ice cream i eat! 3. to get to my favourite B&J scoopshop at Vivo! 4. to put all my B&J ice cream pints in one basket! The Bicycle is totally stunning, dont you think so ? SHARE THE JOY OF B&J ICECREAM! i can’t for this to happen, wow. btw have been supporting B&J for years! Rock onnn! And I look good on a BBQ! Don't you agree that a cow should be riding the B&J bike? MOO. AND! I can store my millions of pints of CHOCOLATE FUDGE BROWNIE ice cream in the front basket of the bike! I'm trying to win this bike for my girl as an anniversary present. Here's why she deserves it (apart from the fact that she's a huge B&J's fan!). Because I've known her for three of the best years in my life. Because she remembers everything I say (even when it's 90% nonsense). Because she cracks me up whenever I'm feeling down. Because she still leaves crumbs on her face when she eats. Because of all the nights she stayed up to take care of me when I was sick. Because I know she kept the very first bouquet I gave her. Because she never compared me to anyone else. Because she makes the best cookies. Because she still wants to go to McDonalds once a week. Because she doesn't ever tell me how much my presents cost. Because I don't tell her “I love you” as often as I should. Because if she doesn't deserve this bike, who does? I am a great fan of B&J so i deserve to win it!!!!! My lil sister has been asking me for a bicycle because she really really loves cycling and I could not afford to buy her a brand new one for Christmas. If I win this Ben & Jerry’s bicycle, I can give it to my sister as a gift! I deserve to win this beauty because I have not rode a bicycle for the past 20 years! I used to love cycling when I was a kid but my one and only bicycle was thrown away when we moved house. Er, and moreover, I grew lazier as time passed and has totally stop any form of exercise! My big fat bum is just as lazy as me! I want to go cycling again please!!!! I deserve to win this bike because greed is the new colour! Every meal should be an adventure right? le0da (at) hotmail dot com. I deserve to win this awesome customized bicycle from Ben & Jerry because it’s Ben & Jerry’s fault for producing such delicious ice-cream and I could not resist myself from not eating them twice a week! I have put on weight and I am still putting on, hahaa! This is why I NEED to win this brand new bike for the brand new year! If I do win, I will make sure I cycle at least 30 minutes everyday so I can lose some weight and look and feel good for the new year!